...forecast Flooding Changed From Minor To Moderate Severity For The Following Areas In Texas... Elm Fork Trinity River Near Carrollton Affecting Dallas County ...forecast Flooding Increased From Minor To Moderate Severity... The Flood Warning Continues For The Elm Fork Trinity River Near Carrollton. ...Read More. 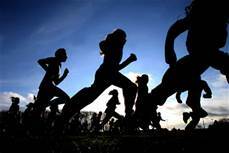 ROUND ROCK – The 2016 UIL Cross Country Meet was held in Round Rock on Saturday, Nov. 12 and several area teams, as well as individuals, were in competition. One of the individual runners who qualified for the state meet was Palestine Wildcat Michael Guzman. The Class 4A Boys’ event began at 9:00 a.m. and the freshman Wildcat ran the 5K course (3.1 miles) in a time of 18:07.21. Guzman finished 130 out of 151 total runners in the event. 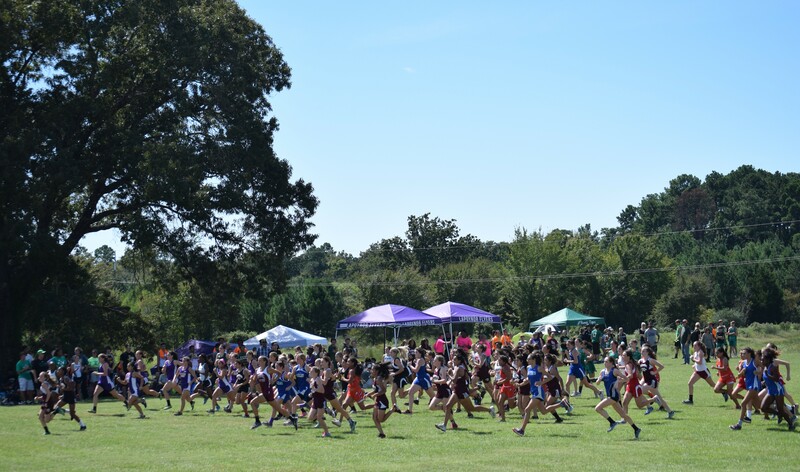 After the Class 5A and 6A girls’ and boys’ event were complete, the Class 1A girls headed over to 3200m the 3200m (2 mile) course with a herd of Lady Mustangs looking to break free of the pack in both team and individual competition. The Lady Mustangs team finished in 13th place with a score of 326. The team members were: Shelby Bowman; Christy Dunnam; Caroline Gray; Jalyn Fletcher; Tiffany Jackson; Courtney January; and Laney Lasiter. Sophomore Courtney January finished 27th with a time of 13.28.24; senior Christy Dunham finished 35th with a time of 13:40.12; freshman Caroline Gray finished 76th with a time of 14:50.28; junior Shelby Bowman finished 91st with a time of 15:34.51; sophomore Jaylen Fletcher finished 97th with a time of 15:52.31; sophomore Laney Lasiter finished 101st with a time of 16:04.22; and senior Tiffany Jackson finished 102nd with a time of 16:05.23. Once the Class 1A girls had completed their event, the Slocum Mustangs team galloped over to the 5K course and finished 14th as a team with a score of 309. The team was comprised of: Randall Guess; Gage Horn; Justin Neal; Jordan Randall; and Trevor Stewart. Freshman Justin Neal finished in 5th place with a time of 17:14.61; freshman Gage Horn finished 52nd with a time of 19:15.95; freshman Jordan Randall finished 77th with a time of 19:58.89; junior Trevor Stewart finished 87th with a time of 20:34.60; and freshman Randall Guess finished 88th with a time of 20:36.19. Shortly after the Class 1A boys finished, the Class 2A girls hit the 3200m course. In the team competition, the Centerville Lady Tigers finished 12th overall with a score of 284. The Lady Tigers’ team is comprised of: Katelyn Colmbs; Averi Hancock; Michaela Kmeic; Hamilton McKinzie; Haley Miranda; Sarah Rivenbark; and Marissa Wall. Junior S arah Rivenbark finished 16th with a time of 12:49.18; senior McKinzie Hamilton finished 45th with a time of 13:27.36; senior Marissa Wall finished 73rd with a time of 14:00.04; sophomore Katelyn Combs finished 74th with a time of 14:00.42; freshman Averi Hancock finished 76th with a time 14:01.87; freshman Haley Miranda finished 82nd with a time of 14:09.51; and sophomore Michaela Kmeic finished 97th with a time of 14:38.18. Following the conclusion of the Class 2A girls’ event, the 2A boys jogged over to the 5K course. Cayuga Wildcat Adrian Mickens, a junior, finished 104th with a time of 19:06.56. At the team level, the Latexo Tigers finished 14th with a score of 318. The team was comprised of: Carter Catoe; Tristan Curless; Randell Holcomb; Conner McKinnon; and Sonny Townsend. Sophomore Carter Catoe finished in 25th place with a time of 17:51.27; Tristan Curless finished 32nd with a time of 17:55.47; senior Conner McKinnon finished 60th with a time of 18:51.21; junior Randell Holcomb finished 95th with a time of 19:49.29; and junior Sonny Townsend finished 102nd with a time of 20:30.06.